Boosting Rank is not solely about getting traffic .You need to sustain as a brand which requires consistent approach in link building. Many visitors may come to your website but what counts is the considerable amount of time that they are likely to spend on your website. How you can become a Google SERP performer? Deliver quality information to your visitor through your website and weblog. Informational content is much shareable over general topics which contain less or no information at all. Use descriptive texts (not more than 60 characters) for the site’s title tag. This will enable search engine listings to track relevance of your site’s content and your website will be displayed in as many searches as possible. Ranking in search engine is no big deal if you know how to follow the right approach in establishing yourself as an expert in the relevant field. You can do this by having a customer-centric approach. Any professional give preference to his customers. Make your website focused on a particular niche and make it easier for your target customers to track it. Involve yourself in each discussion that your customers start, give relevant points and create a healthy environment for them. 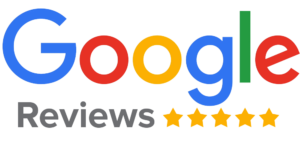 This will again help in dragging more targeted customers or visitors by positive “word of mouth” which spreads like fire over the World Wide Web. This will help you in establishing yourself as an expert in the field and your website will rank a lot many times faster in the search engines. Whatever you do, keep growing in search engine rankings and you will reap better profits in the longer run. It is relevancy that search engines track in terms of keywords. If your keywords are not relevant or are less relevance then your ranking success may face a depression. You need to work on the keywords you select for a particular niche as this will decide your online success as a marketer and link builder. An advice is to incorporate strongest keyword in title tags for optimum positive impact on the search results. Significance of social communities has already been discussed a lot. Here is a piece of advice for all link builders and marketers is to keep their socializing efforts intact in terms of business networking and up selling. Announce each of the newly published content on your social channels for reaching out to the varied audience and hitting target customers. 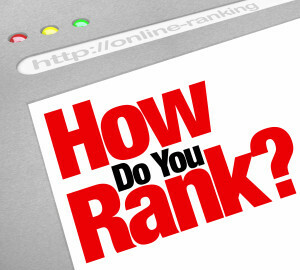 Your valuable information will be further shared by social users and your ranking will manifold automatically. As the name suggests, it allows you to build links within your website. You can install a “related links” plug-in for your website and it will show some two to three related post links which are posted on your website. In this way you would be able to keep a visitor roaming around your website from page to another and from one post to another. This can be a good tactic for letting a visitor stay longer. Building links is not solely about keep doing link building efforts outside the website. You should also focus on keeping your website active by providing fresh content all the time and offering new things for your visitors. Each time a visitor revisits your website, he should feel the newness so he can invite more friends to choose you as number ‘1’.